Plenty of computer games allow two gamers to play together without saying a word to each other. Not many require two players to talk and solve puzzles together. The brand-new Danish game studio Other Tales Interactive wants to change that. Founders Tanja Lind Tankred and Mira Dorthé are currently developing the studio's first game, Tick Tock, which will be a breath of fresh air on the multiplayer games market. In Tick Tock, two players must collaborate to solve the mystery of the two clockmaker sisters Amalie and Lærke Ravn. "Tick Tock is a two-player adventure game, which is something you don’t see a lot of today. The unique thing about the game is that it is played on two different devices, but the two players do not see the same things on their screens, so they need to interact in order to solve the puzzles," says Tanja Lind Tankred. In Tick Tock, the two players find themselves caught inside two magical clocks and can only make their escape by helping each other piece together the background story of two clockmaker sisters, Amalie and Lærke Ravn. 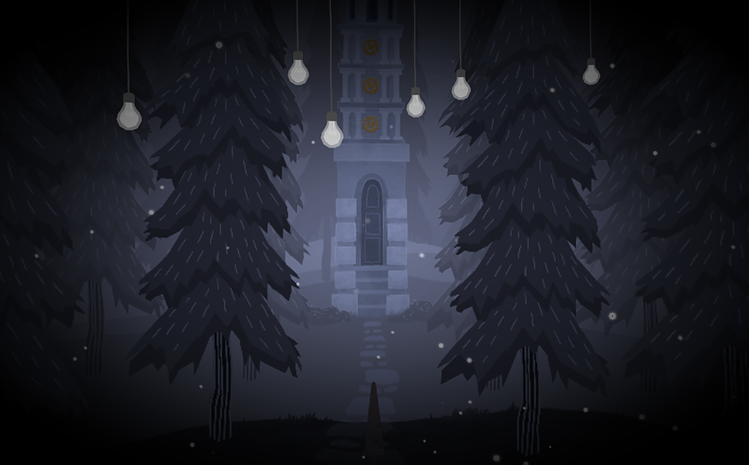 The game draws inspiration from physical 'escape rooms' and H. C. Andersen's fairy tale 'The Nightingale'. The literary inspiration is not coincidental, as both Tanja and Mira hold a bachelor's degree in literature. They met in the Master in Games programme at ITU, where they wrote their thesis on narrative two-player games and decided to test theory in practice with the prototype Tick Tock. Tanja brushed up on her drawing skills, while Mira learned to code, enabling them to develop the game on their own. The prototype was so successful that the two game designers joined the Swedish accelerator programme Stugan right upon graduation, giving them the chance to spend seven weeks working on the game deep in the Swedish woods. This gave them the courage to start their own game studio in the fall. • Tick Tock will be released in the autumn 2017. • Follow Other Tales Interactive at Facebook and on Twitter. • Read more at othertalesinteractive.com. Since then, Other Tales Interactive has received a grant of DKK 90,000 developing the game from the Danish Film Institute and participated in Startup Programme, an incubator programme offered to ITU students by ITU Business Development. In late February, the duo is headed to San Francisco to present Tick Tock to investors, journalists and game publishers at the world's biggest video game conference, Game Developers Conference. They are bringing a trailer and a demo version of the game. The final version of Tick Tock is expected to be launched in the fall. When the project is completed, the two entrepreneurs have plenty of ideas for new projects. "Our biggest dream with Tick Tock is to get enough recognition and funding to get started on the next game," says Mira Dorthé.